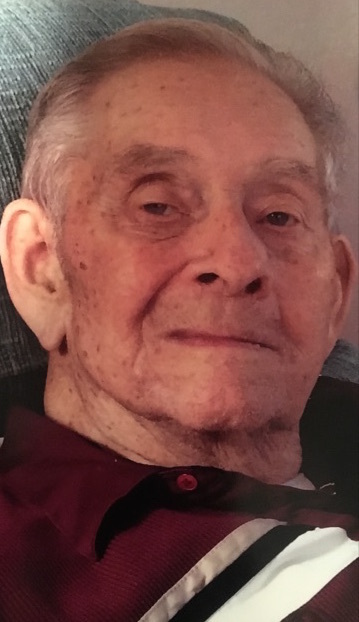 Jimmie D. McLaughlin, 91, of Lincoln, NH and Bradenton, FL died on September 30, 2018 following a period of declining health. Jimmie was born in Monroe, OK to Jim and Bertha McLaughlin. He lived most of his youth in Oklahoma, Arkansas and California. He joined the Navy in 1950 and served on the USS Wisconsin during the Korean Conflict and on the USS Mississippi until his discharge in 1954. In 1955 he and his family moved to Lincoln and opened Jim’s Texaco service station. He also worked as a sales agent for Metropolitan Life Insurance and in 1964 he established Lin-Wood Real Estate. He was one of the five individuals that started the Loon Mt. Development Cooperation, which developed the Loon Mt. Ski Area. He was an active member of the Board of Directors for Loon Mt Recreation Corporation from its inception. Jimmie was a forward thinking businessman. He, along with two fellow business men purchased and developed Camper’s World. He went on to build the White Mountain Miniature Golf Course. He was General Manager of Fantasy Farm for several years. As the local communities grew and prospered, he developed the Main Street property in Lincoln known as Lin-Wood Plaza. He was an active member of Lincoln-Woodstock Chamber of Commerce and the Lincoln-Woodstock Rotary Club. He was instrumental in establishing the Corvette Raffle and the LinWood Educational Trust Foundation, which resulted in many scholarships for the students at Lin-Wood High School. He also served on the Board of Directors for several years at The Littleton Savings Bank. Jimmie is survived by his beloved wife of 38 years, Jeanie; his daughter, Lizabeth McLaughlin of Marlborough, NH; his son John McLaughlin who resides in Cambodia; his three sisters: Matha Gonzales of Porterville, CA, Kathleen Danley of Modesto, CA and Phyllis Cagle of Albuquerque, NM and many nieces, nephews and cousins. He is predeceased by his parents, his sister Genelle Jimenez and his first wife, Marie. Calling hours will be held from 6:00pm to 8:00pm Thursday, October 11 at Fournier-Hale Funeral Home, 144 Main Street, North Woodstock, NH. A graveside service will follow at 11am Friday, October 12 at Riverside Cemetery in Lincoln.